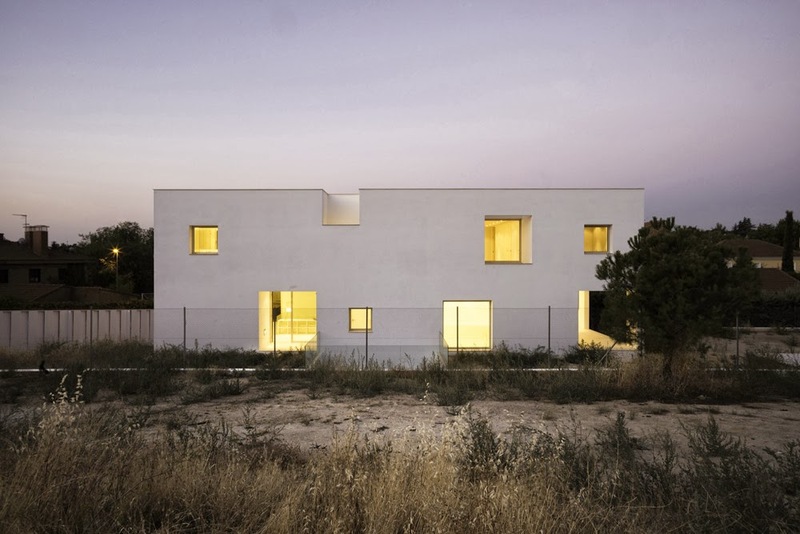 Madrid architects Bojaus Arquitectura have recently designed House H, a minimalist family house located in a typical suburban area near Madrid. 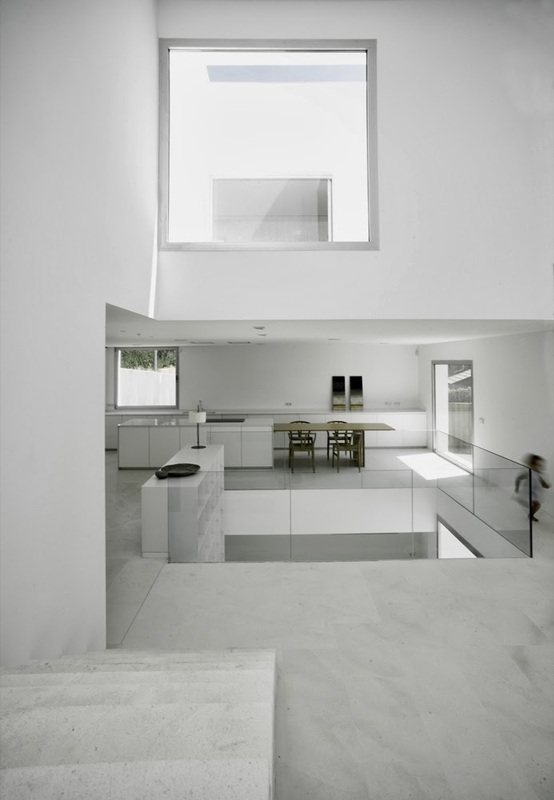 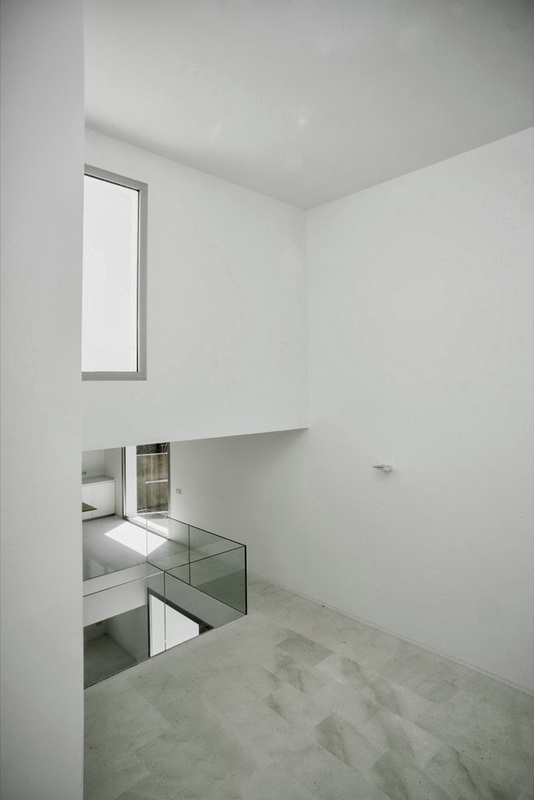 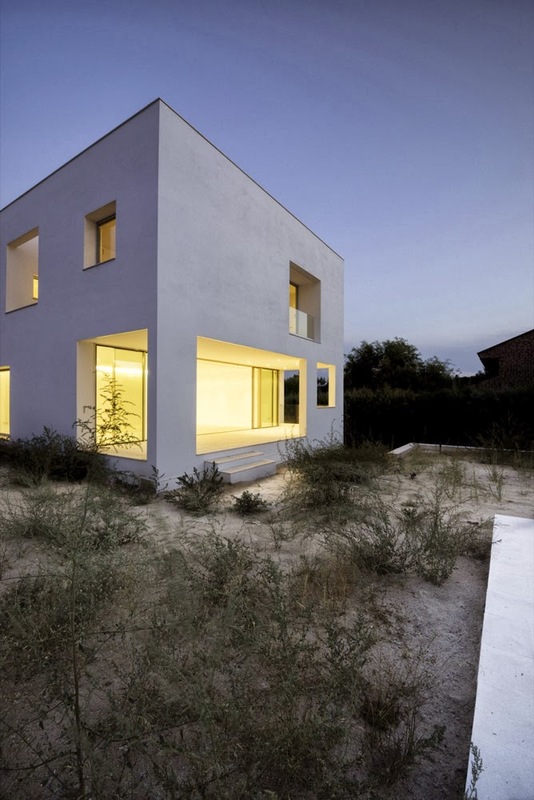 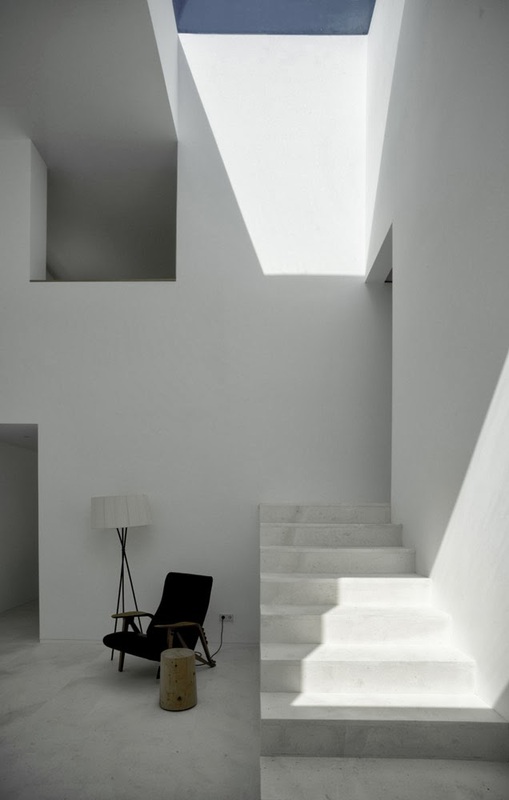 The building’s form is based in the abstract geometry of voids, deep windows and patios, applied in the pure, white cubic volume of the house. 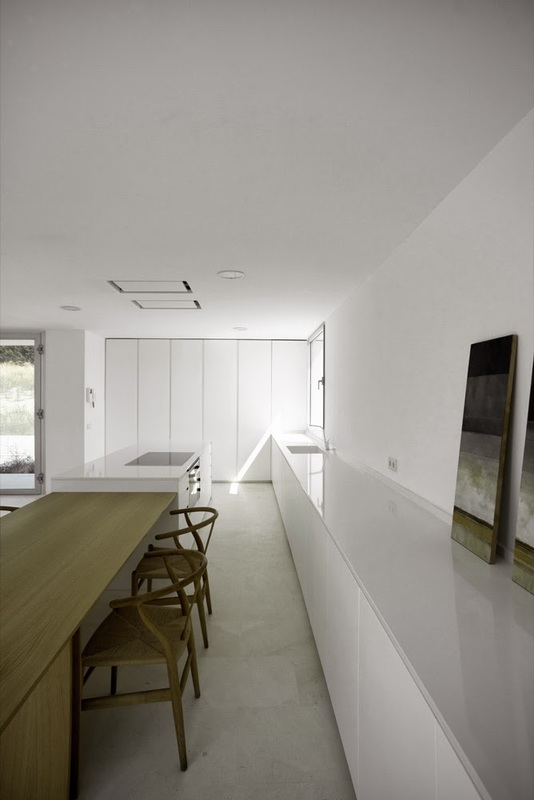 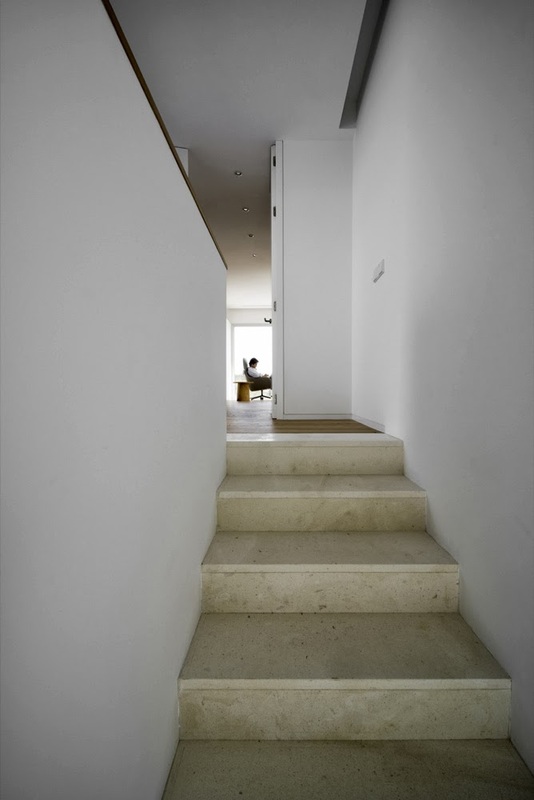 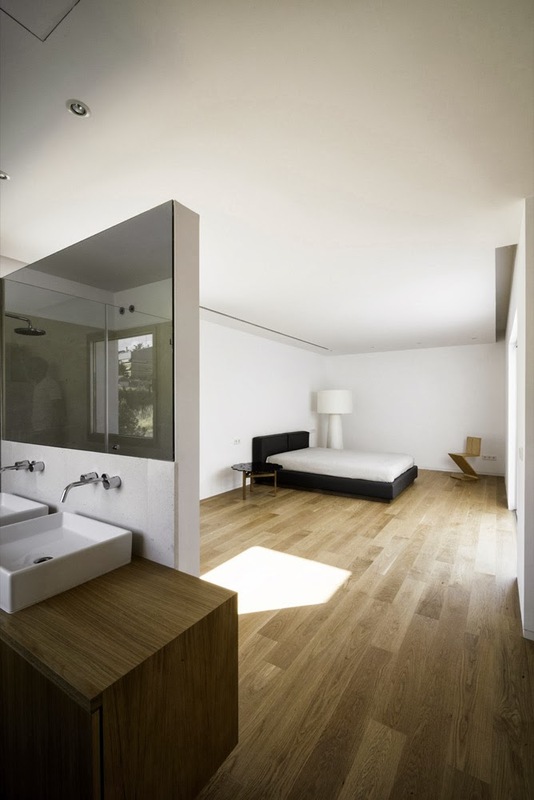 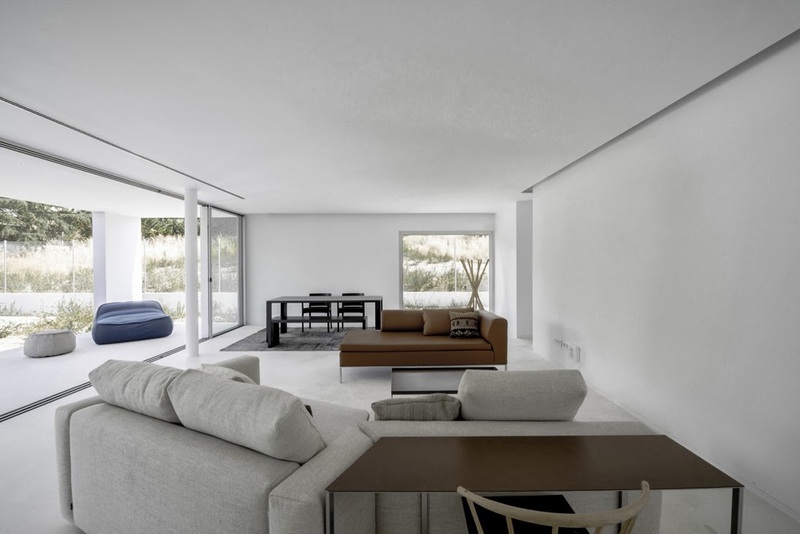 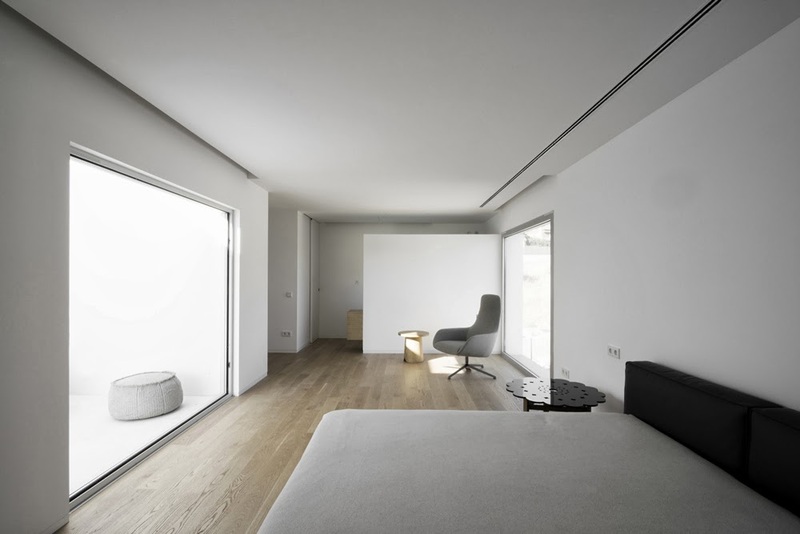 Simplicity and clarity also characterizes the interior spaces. 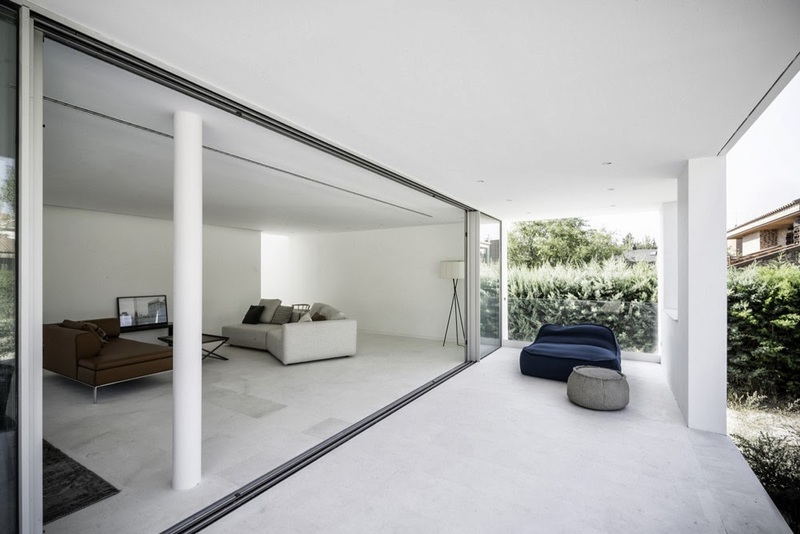 An interior patio is the core of the house inside, connecting diverse levels, organizing different rooms and filling the space with light. 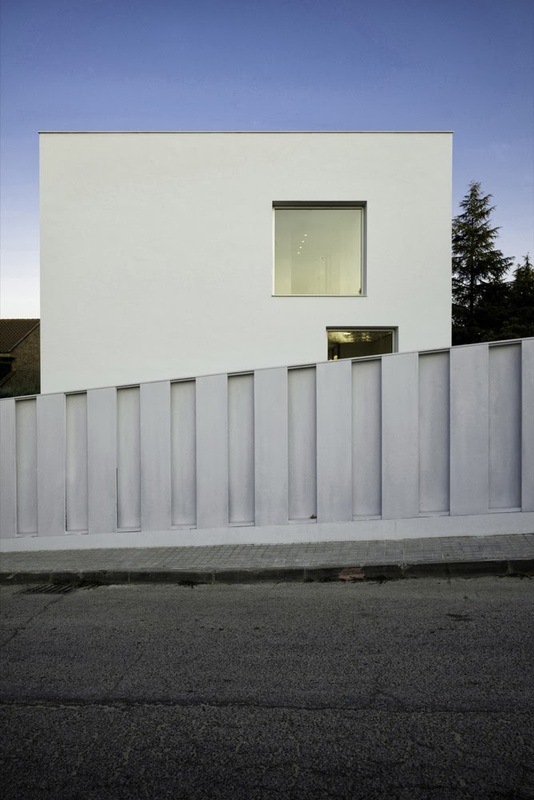 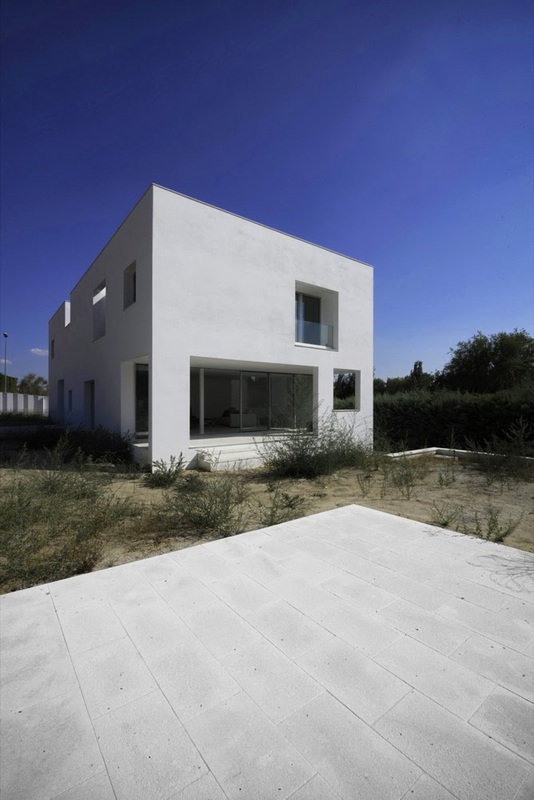 Hose H is located in a typical suburban area near Madrid, where the houses in small individual plots are often too close to each other. 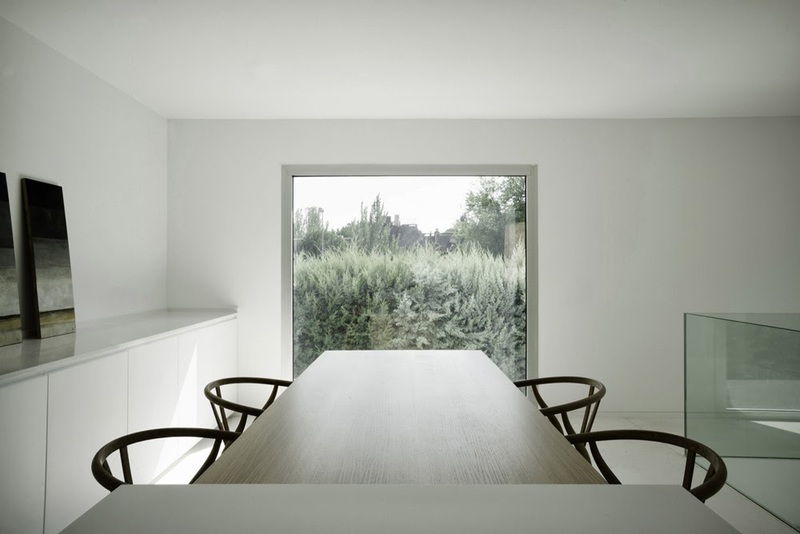 In this situation the challenge was to combine certain degree of privacy with the desire of opening big windows and merging interior and exterior in a continuous space flood by natural light. 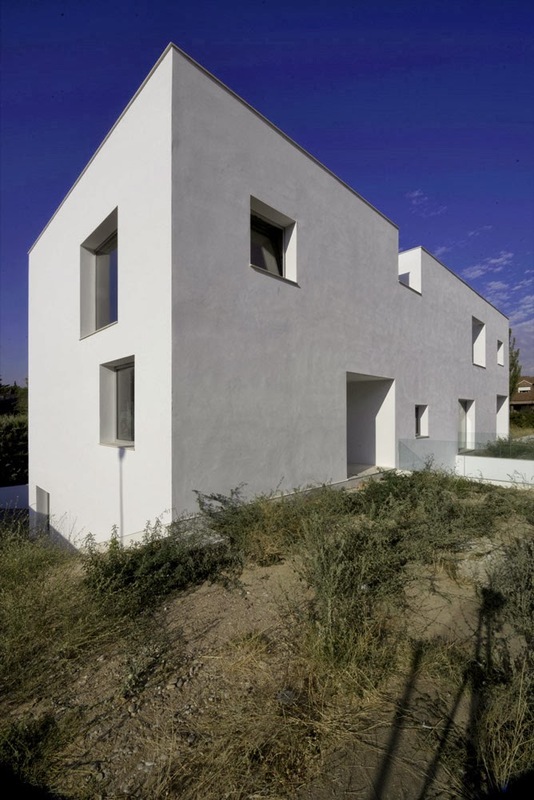 The proximity of the houses that surround the plot lead to develop a system of voids, deep windows and patios which would allow these large openings without neglecting the equally important need of privacy. 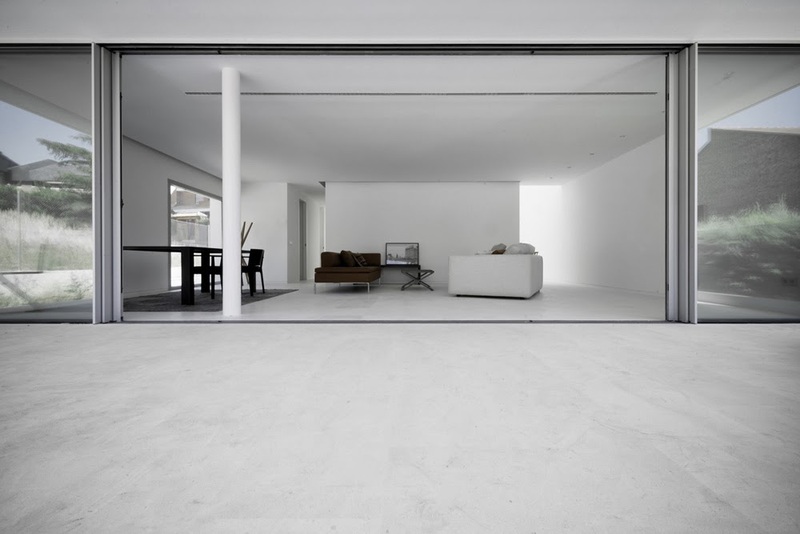 The volume is the result of the strict application of local urban regulations: maximum occupation, perimeter definition, alignments, maximum height… Then, we subtract the voids, porchs and patios, to this maximum volume in order to accomplish the FAR (floor area ratio). 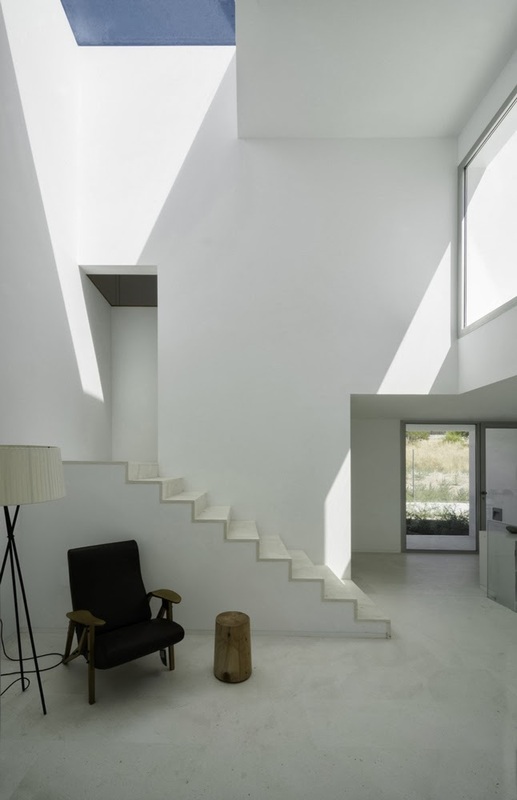 The result is a pure simple prism (20x9x9 meters) drilled by big hollow voids which are connected generating and organizing the interior space. 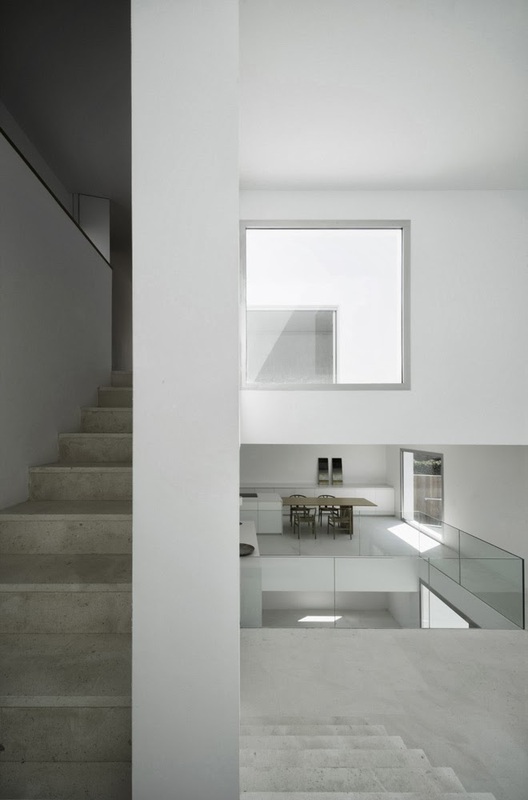 The main space in H House is an interior patio which, apart from connecting the diverse levels by the stair, organizes all the different rooms. 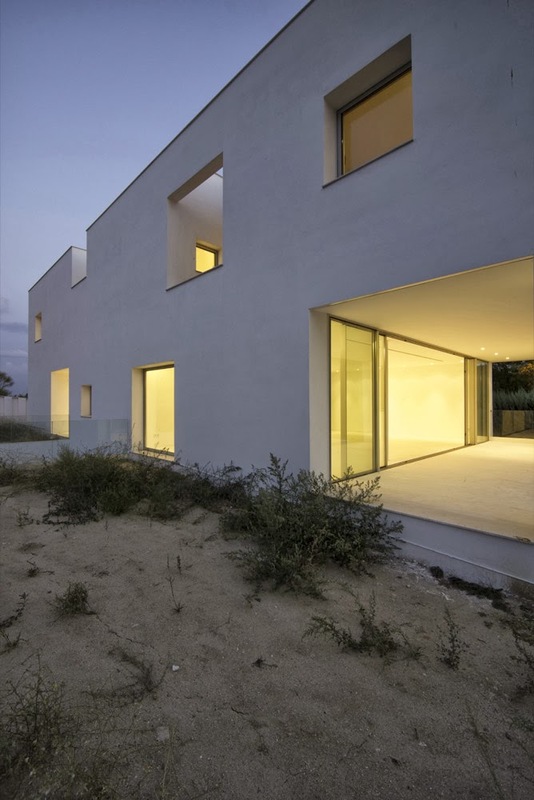 The small pieces, bathrooms, closets, storage, toilet… are aligned in the north facade, building a thick wall with a high level of isolation. 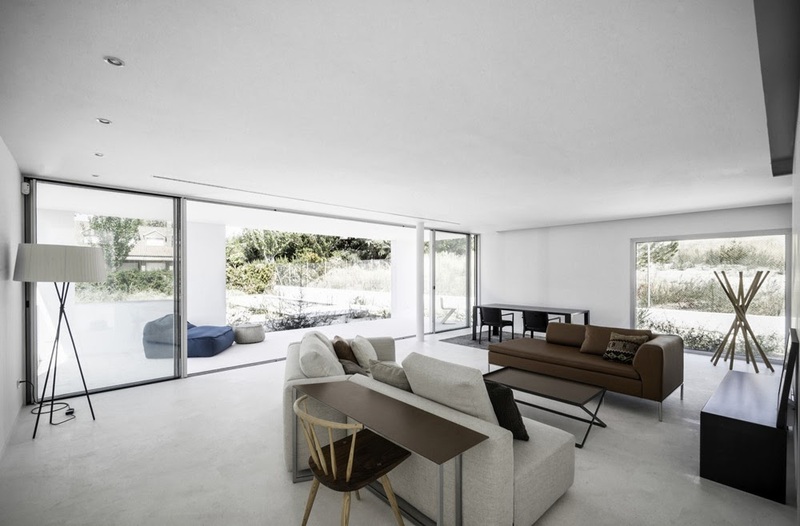 At the same time this layout reduces the length of the main beams simplifying the structure of the house and assisting the free organization of the principal spaces. 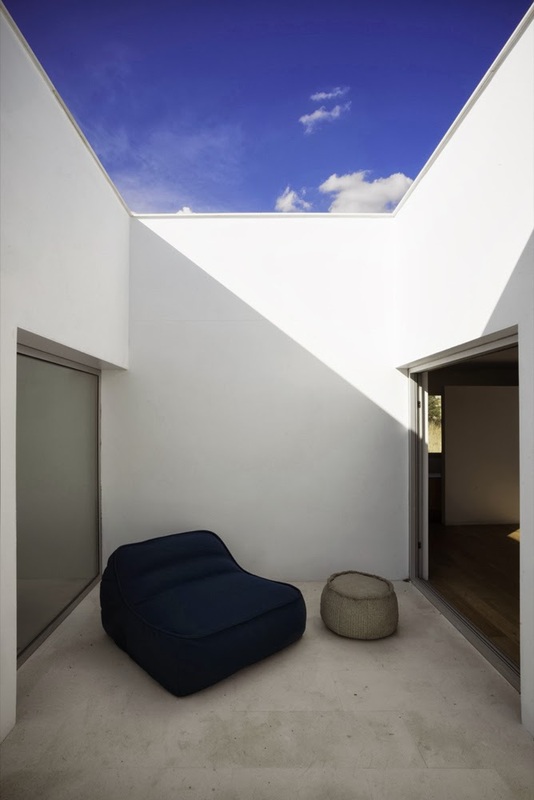 All of them are related to each other visually through patios and voids, as it can be observed in the longitudinal section. 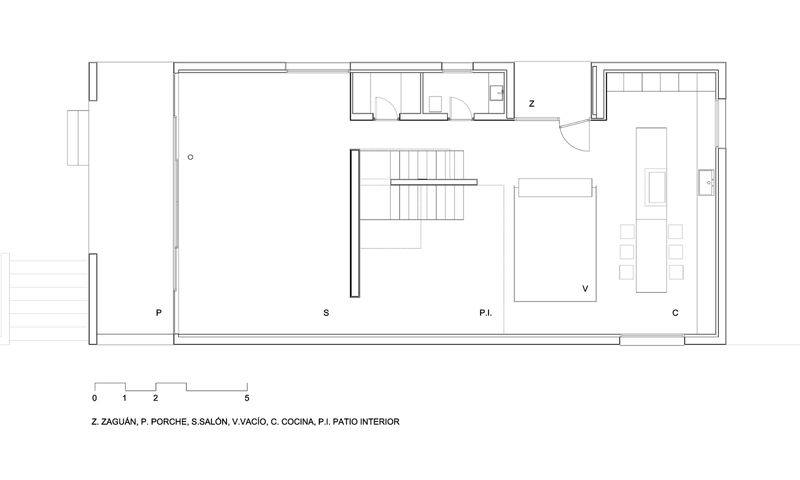 The program planned by the client was the typical on a traditional house of this characteristics. 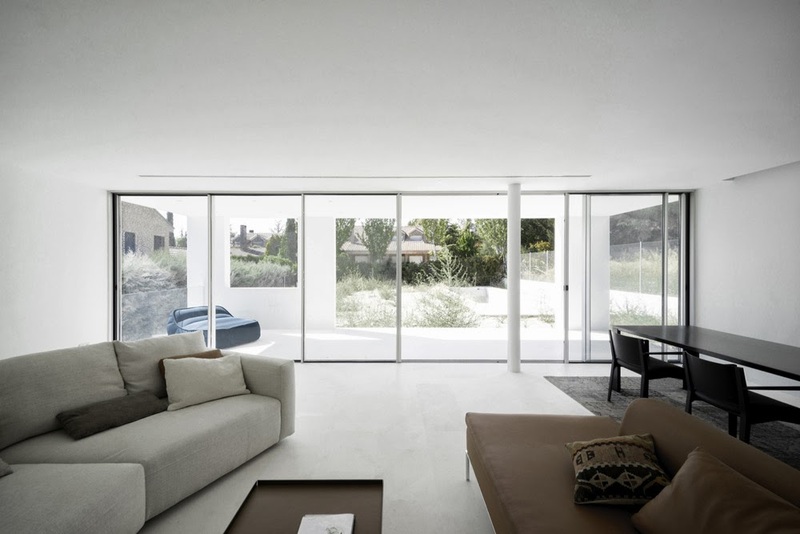 Nevertheless the conception of the different spaces demanded by the client and the relationship between them aspire to a freer layout where a more open and ambiguous functional scheme could be developed. 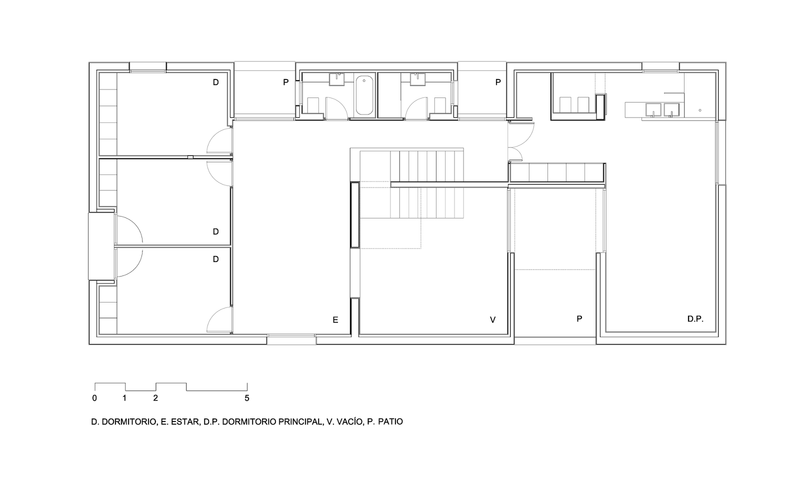 The structural layout defines a cross banded scheme of fixed dimensions where the main spaces, living, kitchen, main bedroom, studio, secondary bedrooms group… are equivalent and interchangeable depending on the user´s needs.